Poem: I play with typography in this accordion book format, try to let the letters sing by and for themselves, with some assistance of strokes. The article claims that letters should be a carrier of story, not standing out by itself. 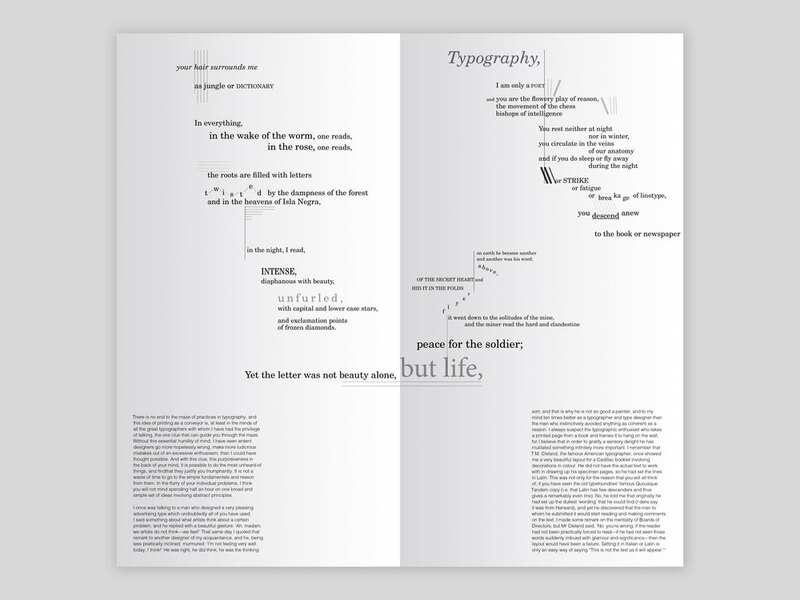 Therefore, I hide paragraphs at corners on the spreads, following the flow of the accordion format.